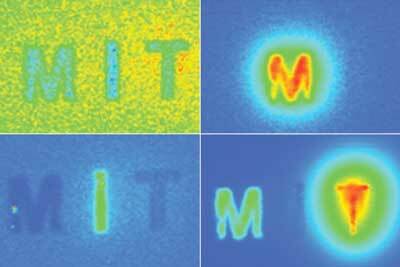 (Nanowerk News) Many types of cancer could be more easily treated if they were detected at an earlier stage. MIT researchers have now developed an imaging system, named “DOLPHIN,” which could enable them to find tiny tumors, as small as a couple of hundred cells, deep within the body. Belcher is the senior author of the study, which appears in Scientific Reports ("Deep-tissue optical imaging of near cellular-sized features"). Xiangnan Dang, a former MIT postdoc, and Neelkanth Bardhan, a Mazumdar-Shaw International Oncology Fellow, are the lead authors of the study. Other authors include research scientists Jifa Qi and Ngozi Eze, former postdoc Li Gu, postdoc Ching-Wei Lin, graduate student Swati Kataria, and Paula Hammond, the David H. Koch Professor of Engineering, head of MIT’s Department of Chemical Engineering, and a member of the Koch Institute.